Hi Welcome to Free Computer Tricks, today we will show you how to download Xiaomi Redmi Mi latest firmware ROM. As you know there are various ROM available for Mi phones such as Recovery ROM and Fastboot ROM, here you can get the both download link and also know how to flash the ROM. Xiaomi Recovery ROM and Fastboot ROM which come with .zip file and can be flash with Mi Flash Tool. Recovery ROM can flash using Recovery mode on the phone itself and Fastboot ROM can flash with Mi flash tool, to more about how to flash Recovery ROM and Fastboot ROM please go through the below steps in this tutorial. If you are searching for EDL mode ROM for your Mi Note 4X mobile, then you are in right place here you can download EDL mode fastboot Stable ROM. You can update the Mi phone using Recovery option, to update to latest version of MIUI on your Mi phone you need to download latest stable Recovery ROM and flash it using the Recovery mode. Xiaomi update using recovery mode process is given below. To update your Xiaomi Redmi Mi phone using recovery mode you can follow the below steps. Download Recovery Mode MIUI 8 and MIUI 9 Stable Recovery ROM Here. Rename the downloaded ROM file to Update.zip on the Computer. Copy the ROM into the Root directory of the Internal storage of the device. Then select install update.zip to system and click YES and wait until the update process complete. Download MIUI 8 and MIUI 9 Global Stable Recovery ROM For Redmi Note 4X. Redmi 4X Recovery ROM Download Link, see the above image to know and download the recovery ROM for your Redmi phone Redmi Note 4. All Xiaomi Redmi EDL Mode Solution or EDL Test Points. Xiaomi Redmi FRP Unlock or Mi Account Bypass Solutions. 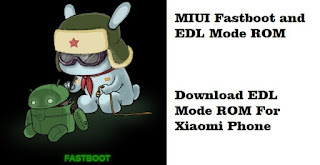 Xiaomi Redmi EDL Mode and Fastboot Mode Flash Tool Download. Xiaomi Redmi EDL Mode and Recovery Mode Mi Account Unlock Tool Download. This type of ROM can flash using Mi Flash Tool, just download the MIUI fastboot ROM and extract it on your PC and use Mi flash tool to flash the phone. Xiaomi Mi Fastboot ROM can also flash with EDL mode on the Redmi Note 4x. In some Mi phone you can flash this ROM using Fastboot mode and in some other Mi phone you can flash this ROM using EDL Mode. Download latest Mi Flash tool Here. Download MIUI 8 and MIUI 9 Global Stable ROM for Redmi 4X Here. Download MIUI 8 and MIUI 9 EDL Mode ROM for Redmi 4X Here. Now boot the phone into Fastboot or EDL Mode. Extract the downloaded ROM and Open Mi flash tool. Now select the ROM folder and connect the with Fastboot or EDL mode. Click on Refresh button on the Mi flash tool and then click on Start. Download MIUI 8 and MIUI 9 Global Stable Fastboot or EDL Mode ROM For Redmi Note 4X. Download MIUI 8 and MIUI 9 Fastboot or EDL Mode ROM. Please see the above image to know which one is fastboot or edl mode ROM for the Redmi Note 4X. Xiaomi Redmi MIUI System Update Guide. MIUI Xiaomi Redmi Recovery Update Guide. 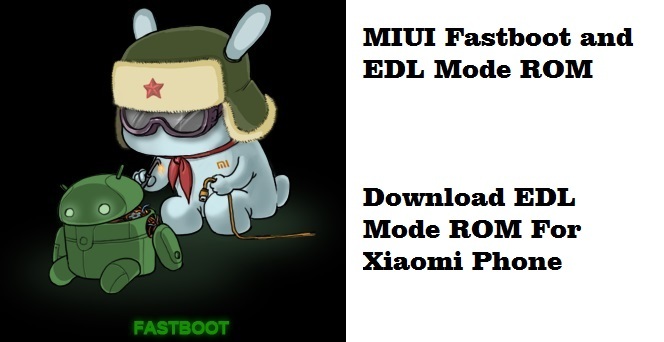 MIUI Xiaomi Redmi Fastboot or EDL Mode Update Guide.